Monday night dinners, when you've over indulged during the weekend and your body is crying out for a healthy nutrient dense meal. 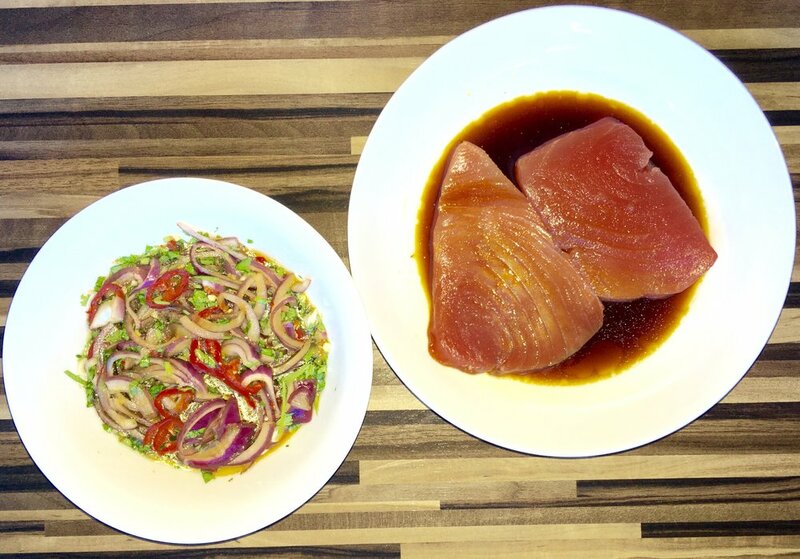 A light meal with veg doesn't have to be boring though and my seared tuna with Chinese inspired dressing will invigorate your palate and start to reduce the guilt of that late night takeaway and alcohol consumption. 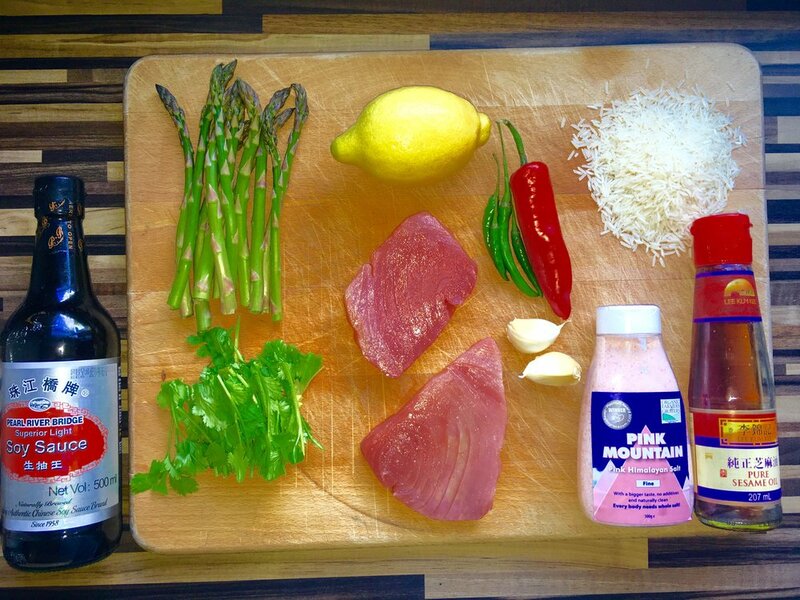 Start by marinading the tuna for at least an hour before cooking. Place the steaks in a dish with 2 tablespoons of light soy and 1 teaspoon of sesame oil and place in the fridge. If you have never cooked with sesame oil ensure you have a taste as it has a very distinctive flavour which many people aren't keen on. I love it though but a little does go a long way. For the dressing slice the onion wafer thin as you don't want their strength to over power the taste of the tuna. Place in a bowl with the rest of the ingredients and mix well. Try and prepare the dressing at least half an hour before serving for the flavours to mingle. For the asparagus simply wrap in tinfoil along with the butter and the salt and place directly on the BBQ. Remove the tuna from the fridge and ensure your BBQ is up to a high temperature. Place the tuna directly on the grates and cook for 1 minute per side. Serve on Basmati rice (cooked per packet instructions) along with the asparagus and dressing.